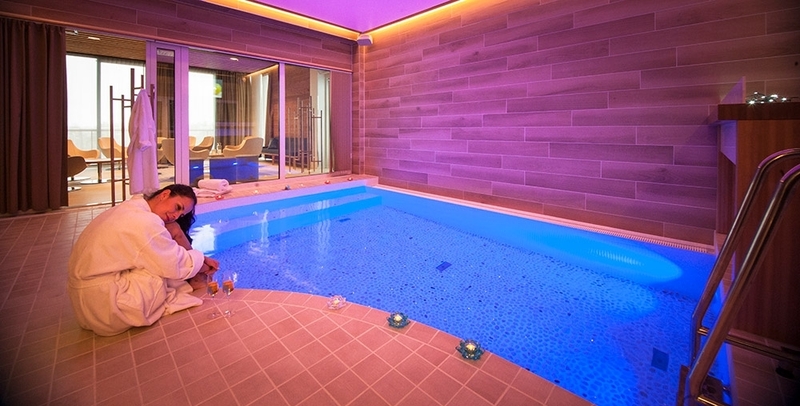 Relax in the pool's bubbles and enjoy the atmospheric spa alone, or with friends. We also can provide a range of spa treatments - please contact us, we are happy to tell you more! The hotel's most relaxing location offers its guests a peaceful spa experience. If you wish, you can book the whole spa for your private use to relax in peace. The spa can accommodate 1 to 15 people. You can also place your orders at the licenced poolside bar. The Spa is also equipped with state-of-the-art technology. You can listen to your favourite music in the pool as well as in the sauna through our high-quality sound system, and watch your favourite broadcasts on the 55" TV. Our Zen Spa has the world's only log sauna with a northern lights ceiling. The sauna can accommodate up to 6 people at a time. Come and relax! Book SPA and MEETING LOUNGE - together or separately!